- Such a simple but powerful piece of jewelry. 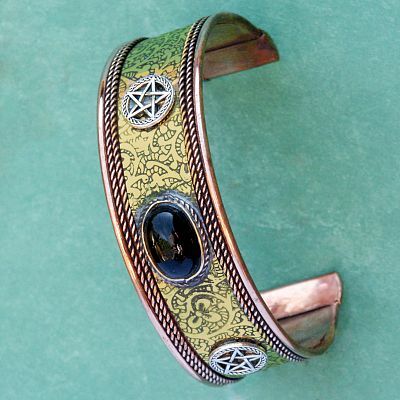 A beautiful black tourmaline cabochon is set in a dramatic setting of copper and bronze. 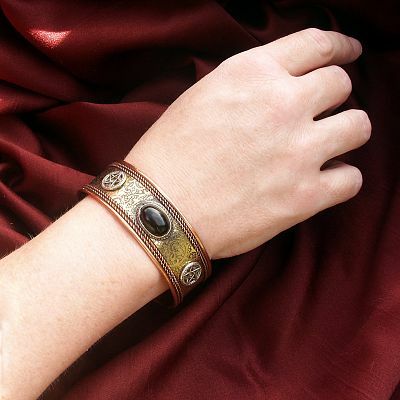 Adjustable cuff bracelet is 7" long. Do you have any other questions about our Copper Pentacle Bracelet?